As fun as it is to spend hours at the beach, it makes the experience enjoyable when you don’t have to worry about damaged hair as an aftermath. By now you probably have your own routine of slathering sunscreen all over your skin before taking off for sunlit tides. But do you have a hair routine? The impact of UV rays is not limited to skin; it will damage the cuticles of your beloved locks, resulting in insanely dehydrated, fuzzy and unmanageable strands. If you plan on spending a long day under the sun, make sure to defend your hair against UV rays by using a protectant spray before you head out. If you have coloured hair, a suitable UV protectant will also keep it from fading too soon. Wet your hair with fresh water before you submerge in the beach waves. It might sound a little odd to wet your hair separately, but the practice will actually help avoid the full drying effect of salt water from getting to your hair. Starting with wet hair screens your hair; the complete percentage of saltwater is not absorbed by the strands, hence limiting the saltwater effect. A leave-in conditioner works wonders in combating the drying effects of sun and salt. Applying a conditioner is similar to soothing your skin with body butter; the moisture acts as a barrier. In case you have coloured hair, all the more reason to moisturize it to protect the dyed shades. Hydration does not only work from the outside; you need to maintain a healthy intake of H2O to boost your locks on a day at the beach. Trust us—your hair will thank you for it. There’s something alluring about a trendy style on the beach that complements your favourite swimwear. However, don’t distend your hair while it is consistently weighed down. The beach heat already does its part in drying your hair; you don’t want to fuzz it further by kicking it with heat tools. 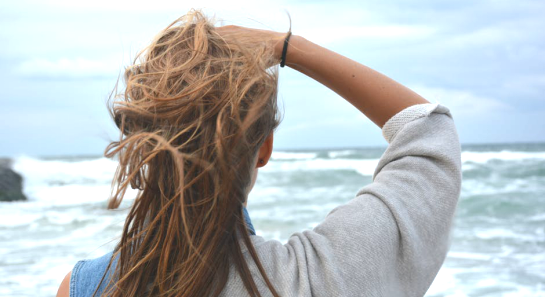 Give your hair a break after you hit the beach so it won’t be as susceptible to sun damage. Ultimately, overall hair care comes down the basics. Put on a hat before you go out; adding the extra layers is one of the best defences against sun for both hair and skin. Visit a salon for upkeep. A hair cut or a deep conditioning massage can be the miraculous way you are seeking to revamp your hair after extended sun exposure. If you are looking for hair dressing services after surfing out at the beach in Toronto, Twin Image Hairdressing is one of the good salons in Toronto that offers various hair care services, from hair cutting to hair coloring. Get the hairstyling expert to help you protect your hair. Keep your hair in perfect shape with these tips, so that your days in the sun end with amazing, flip-worthy hair!